Gary Bauer, Contributing Author: While the nation is struggling with record debt, Barack Obama finally found a government agency he wants to slash -- the Pentagon. 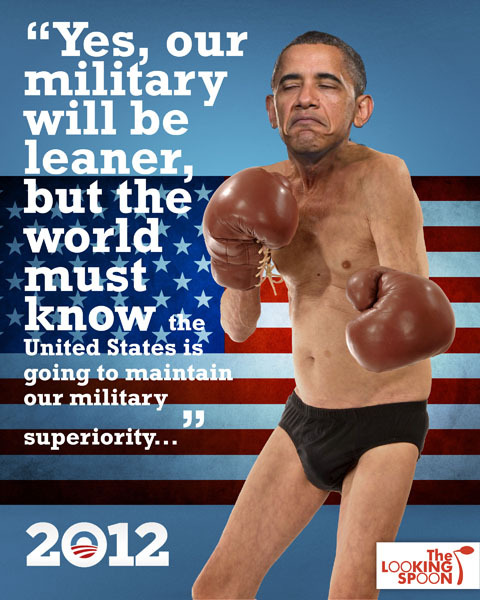 Yesterday Obama unveiled plans to cut $500 billion from the Defense budget. In his remarks at the Pentagon, Obama said he was "turning the page on a decade of war." He could also be inviting a new decade of aggression. 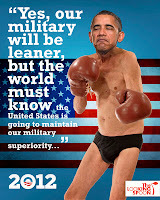 Obama plans to abandon America's long-standing policy of being able to fight two major conflicts at once. His cuts will take us back to a pre-9/11 military, just as Iran is ramping up its nuclear weapons program, as the rotten fruit of radical Islam spreads from last year's Arab Spring and as China continues its massive military buildup. But as the editors of National Review noted: "At its Cold War peak, U.S. military strategy called for the peacetime ability to simultaneously fight and win two major theater wars and a 'brushfire' conflict. The years after the Soviet collapse saw that capability pared down in the name of the 'peace dividend,' just in time for the 9/11 decade to deliver . . . two major theater wars and a series of 'brushfire' conflicts, from counterterror ops in Yemen to air support in Libya, that stretched our forces thin even as we increased them. "Every time Republicans try to cut bloated social programs and income redistribution programs, Obama and the media immediately counter that they are going to kill jobs. (Top administration officials and leading Democrats have even tried to convince us that unemployment insurance actually creates jobs!) But then Obama goes to the Pentagon and announces massive cuts that will eliminate hundreds of thousands of jobs. In fact, earlier this week Boeing announced 2,000 layoffs at a Kansas plant due to Defense cuts announced last year. According to Boeing there just wasn't enough work to keep the plant open. Conservative politicians who were upset at Boeing should have directed their anger at Obama. Government spending is about picking priorities, and the first obligation of government is the defense of this nation. But liberals always see the defense budget as the first thing to cut. The first priority of every conservative must be defeating Barack Obama. Tags: Gary Bauer, Campaign for Working Families, DOD, military, Defense budget, Barack Obama To share or post to your site, click on "Post Link". Please mention / link to the ARRA News Service. Thanks! When will Obama start pounding his shoe on his desk & shouting "I'll buryyyy you", if you don't agree with me??? Bill, I appreciate your civil, informative post. I "thought" most TEA PARTY people to be Christian Conservatives, but I was wrong!!! !